It has to be able to run independently. Those rules must be fulfilled to be able to run any unit at any time since it is needed to run the tests properly. 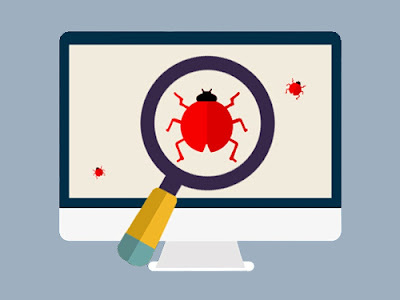 The basic idea of unit testing is to run the test every time the developer makes substantial changes to the code. By doing this you will know if a unit is still working or not after those changes, reducing the time and effort spent on bug fixing. First things first, what is defined here is a test case, which is the smallest part which can be defined using unittest. The only thing you have to do is defining unittest.TestCase as a superclass. A test case will look for any method starting with “test_” and run it when you run the test case. Also, if you want to define only one test you can override the runTest method, which is the simplest way to do it. The "if" statement at the bottom runs the tests every time you compile the code, which is very useful to check that recently added code does not change the correct functionality, as it was mentioned in the introduction. These tests are really simple and don’t need additional information to work, but in some cases, you need to load data from disk. Loading information every time you need it is inefficient and, as it was said before, the tests should run fast. As you can see here, the setUp method defines a private attribute called zero, which is used on all of the test cases. Then, that value is deleted after all the test cases are finished. In this case, the zero value could be defined in every case because it isn’t a time-consuming operation, it is just added as an example. In general, in the setUp method, you will make queries to a database or pre-process information. Then, it will delete that information on the tearDown method to avoid filling the memory up with unnecessary data. Sometimes it is necessary to skip some tests after they are checked, for example, if they take a lot of resources, or if they are not supported by older libraries. On this example, you can see that the first test is always skipped with the skip decorator, which is used in general for time-consuming tests that have already been passed. Then the second test is skipped for older versions of the library, very useful when you use libraries in development or different libraries depending on the virtual environment. Congratulations! You now have all the tools to do unit testing on your Python projects. You can check a sample project here.